3080 South Hampton Road, Dallas, Dallas Co. When a structure is a crucial part of public place and that structure disappears, it is appropriate to rebuild it as it once was, as the people who created the space intended. 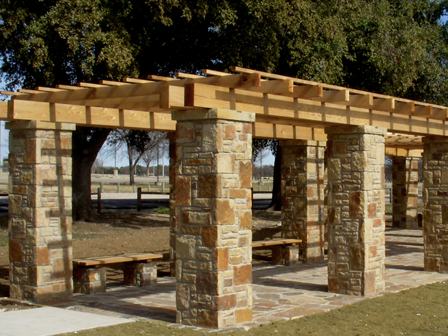 This is the case with Kiest Park Pergola in Dallas. In 2000, Oak Cliff residents began raising money and developing a positive relationship with the City of Dallas and other organizations with the common goal to restore Kiest Park and the Pergola. Its reconstruction is worthy of recognition as a byproduct of the neighborhoods’ resolve to replicate missing historic conditions as closely as documentation would allow.